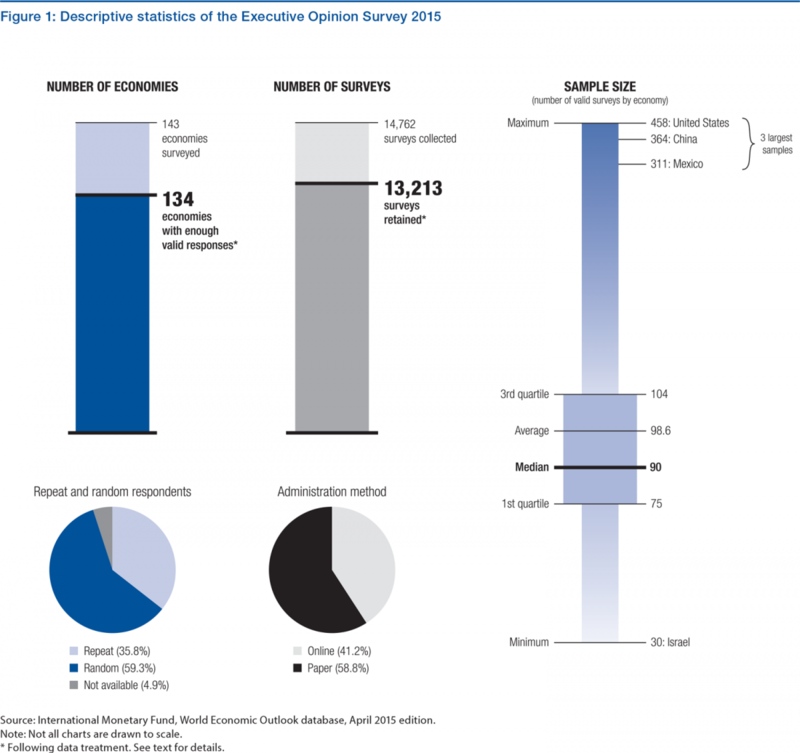 The Executive Opinion Survey 2015 captured the opinions of over 14,000 business leaders in 144 economies between February and June 2015 (see Figure 1). Because of issues of data quality or quantity, the results from this year’s edition of the Survey were used for 134 economies. Data from previous years were used for 6 additional countries, for a total 140 economies covered in the GCR (see the data treatment section below for further details). The Survey is available in 41 languages (see Table 1), of which 21 are available online. This year over 40 percent of participants took the Survey online. In 27 economies the Survey was administered entirely online, while in a further 11 over 90 percent of respondents completed online (see Table 2 for statistics about the method of administration). Following a year of non-inclusion, Benin, Bosnia and Herzegovina, Ecuador, and Liberia are reinstated in the 2015 edition. However, the Survey was not administered this year in Angola, Burkina Faso, or Timor-Leste and was not completed to minimum requirements in Barbados or Suriname. 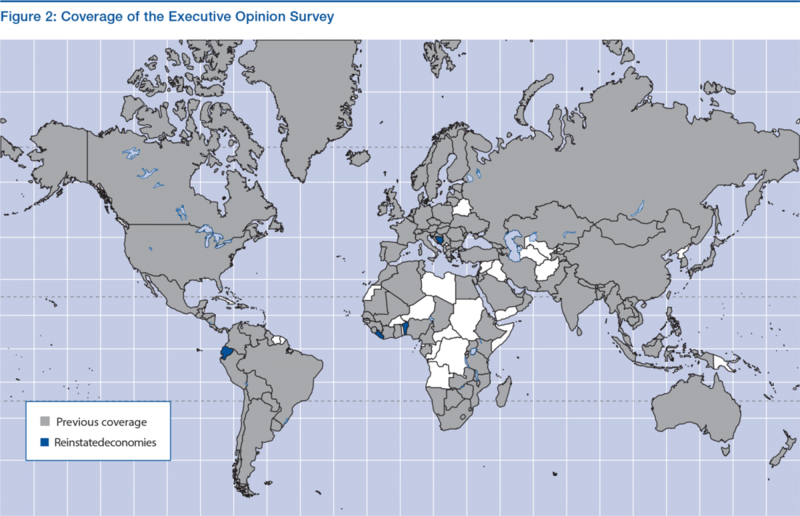 In the cases of Libya and Yemen, the uncertain security situation did not allow the Survey to be conducted. Furthermore, because of missing data from international sources and the resulting impossibility of ensuring international comparability, Puerto Rico was not included this year in the calculation of the Survey results. 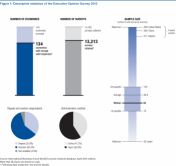 No new economy was added this year (Figure 2); however, the Forum’s Global Competitiveness and Risks Team will continue its efforts to reinstate economies and increase country coverage year on year.